Learning Hub Optimize your Business What is Business Intelligence (BI) and how can it help my dealership? Business Intelligence, commonly referred to as BI, is the process of analyzing the data you create and using it to improve and optimize future business decisions. This data includes information from the applications you use every day to buy and sell parts, and provides insight on how to further improve your business performance. Simply put, your data tells a powerful story; BI eliminates the need for you to sift through mountains of paperwork or digital files to analyze your data, by showcasing that data in a format that is easy to understand. By pulling the data together for you, a BI solution generates results based on your actual sales so your business can make smarter decisions rather than guesstimates. How can Business Intelligence help my dealership? The right BI solution will reduce the time you spend crunching numbers and will help you take action based on historical data. BI solutions help track customers’ parts purchasing and searching behavior, provide insight into buying cycles and track key indicators. Armed with this knowledge, your team can make better decisions, have factually-based conversations with customers and increase your OE parts sales. 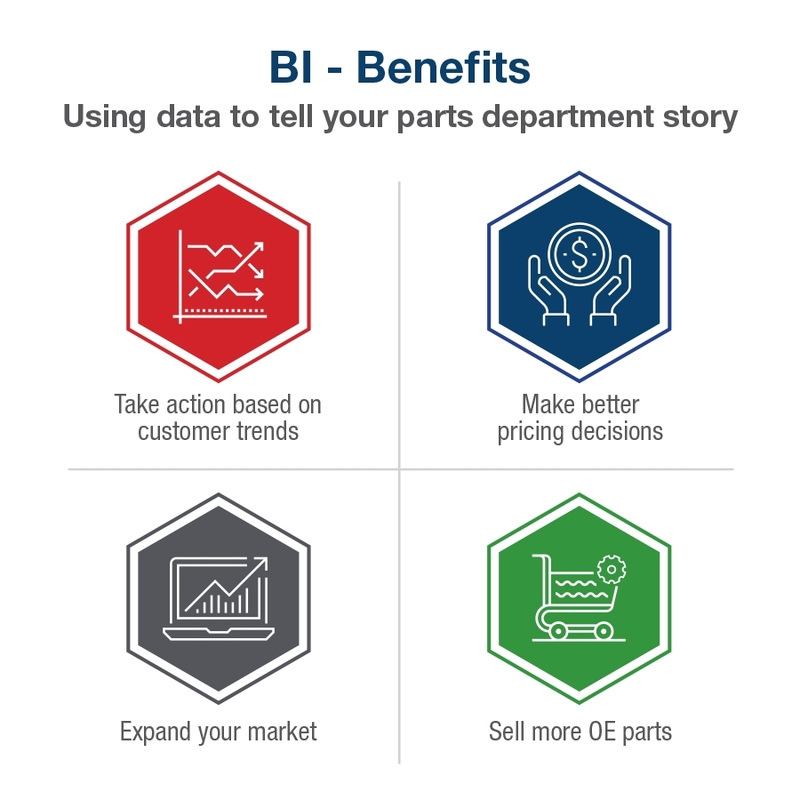 BI within the automotive industry isn’t new, but it is on the rise in the parts department. Using a BI solution like OEC LinkIQ can address and prevent potential downfalls while also predicting realistic opportunities. OEC LinkIQ works with your OEC solutions and your DMS to provide a holistic view of your parts department so you can make smarter decisions and understand exactly where your business stands.